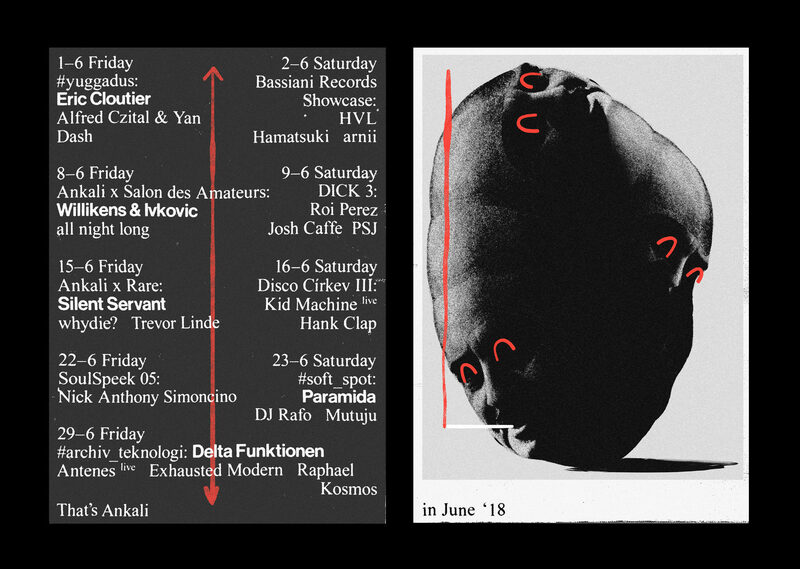 Two integral minds behind the otherworldly sound of the Düssledorf über-beloved music institution Salon des Amateurs are coming to town to play records all night back to back in Ankali. Lena Willikens and Vladimir Ivkovic both embody the spirit of Salon’s at large: under their hands sluggish distorted acid slowly pours into an odd radiophonic bleepy recording only to later make room for tropical vibe-infused EBM and proto disco. Their controlled trip into the subconscious realm of analogue dance has resonated all over the world on some of the most open minded dancefloors incl. Sónar, Golden Pudel, Dekmantel or Unsound, and on June 8th they will finally hit Prague in full effect. From the beginning till the end. All the songs you’ve never heard. No borders. All night long.